This post was sponsored by Zappos. All opinions & creative direction are my own. Fall is right around the corner. This Fall we want to travel to a couple of U.S cities to really experience the leaves changing and the temperatures dropping (Remember that we don't get Fall in Miami until February... and it lasts approximately a week, two if we are lucky). 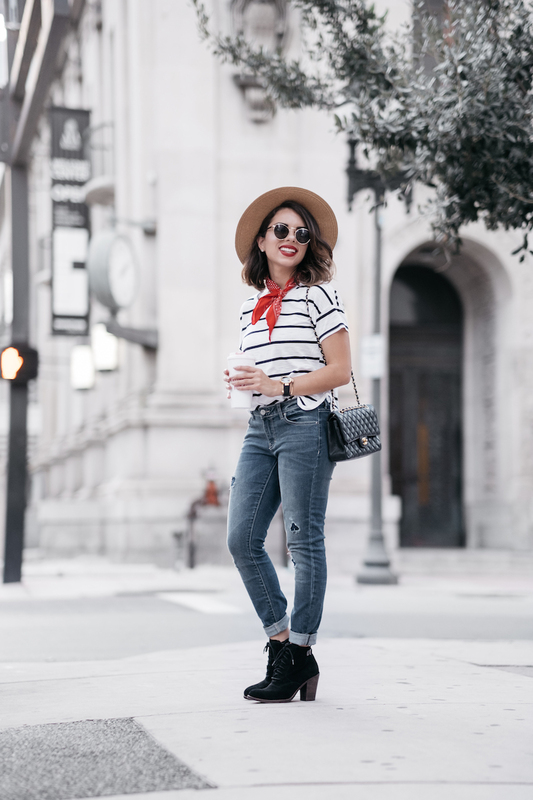 Today I'm partnering with Zappos & Lucky Brand and showing your two ALMOST fall-ready looks for all the gals that are excited about wearing boots (but it's not cold enough for sweaters yet!)... 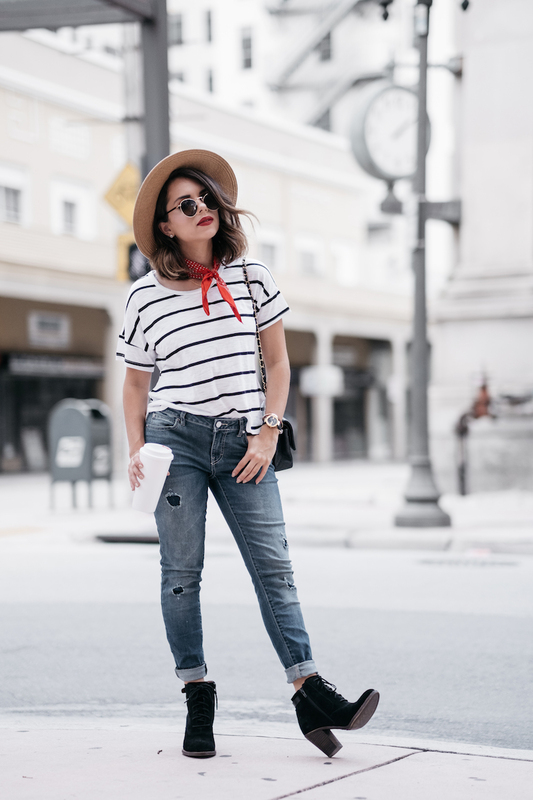 and for the Miami girls who want to add boots to their wardrobe without looking crazy in hot Miami. 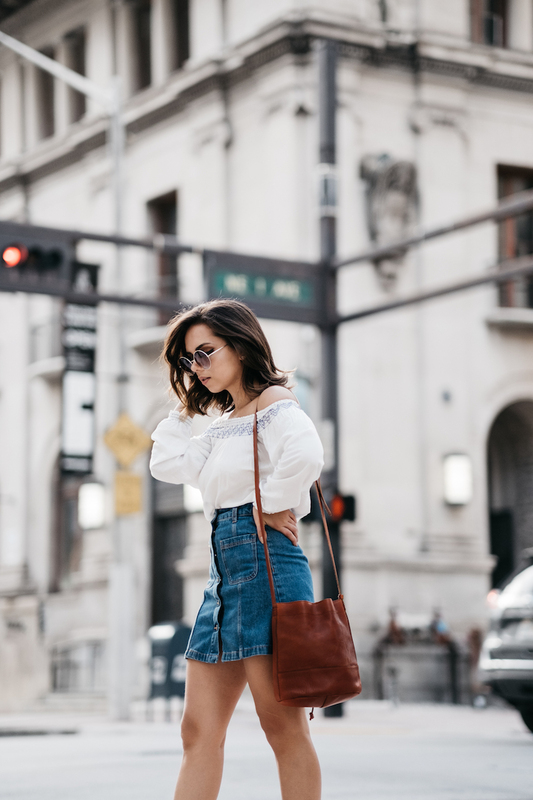 The first one I'm wearing two of my favorite trends for Summer: denim skirts and off-the-shoulder tops (Yes, you have seen me wear similar versions to this look many times...but I love it!). 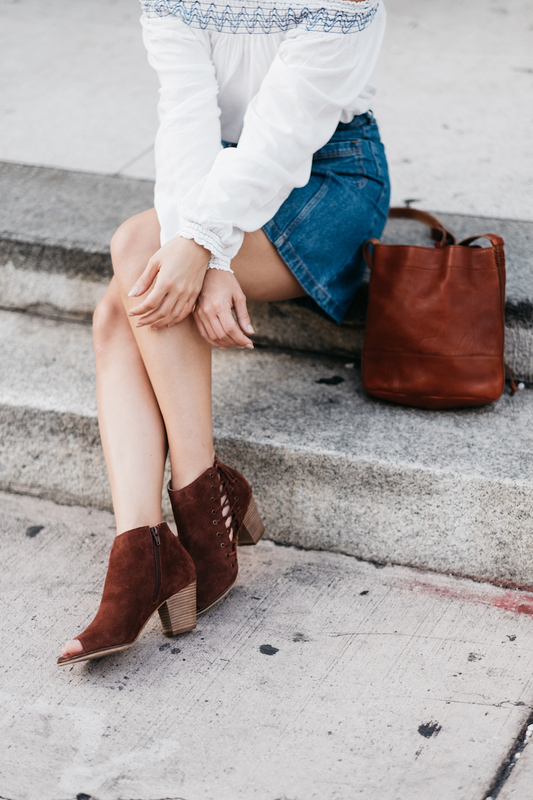 To fall-ify it, the off the shoulder top is long sleeved and I paired it with the cutest brown suede boots from Lucky Brand...the lace-up detail and the peep toe style make these boots modern and fun. They are a great transition piece and the color is gorgeous! 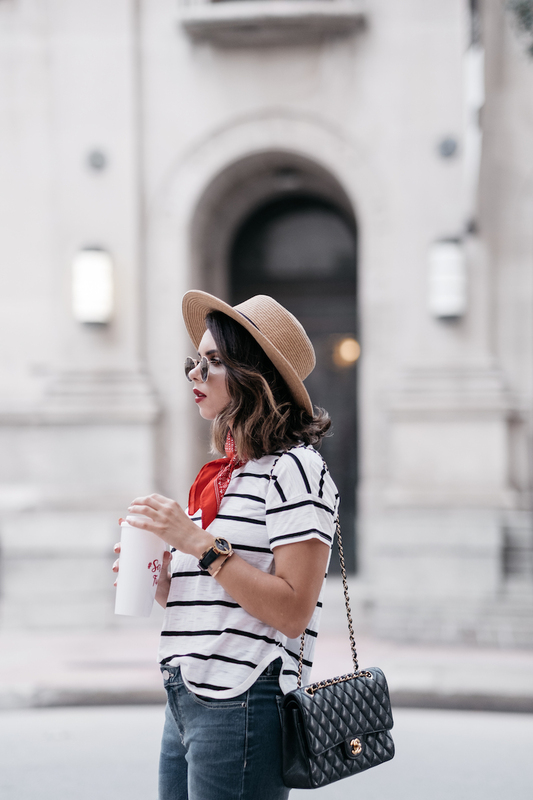 For the second look, I'm wearing some my favorite combo: jeans + stripes + red bandana. 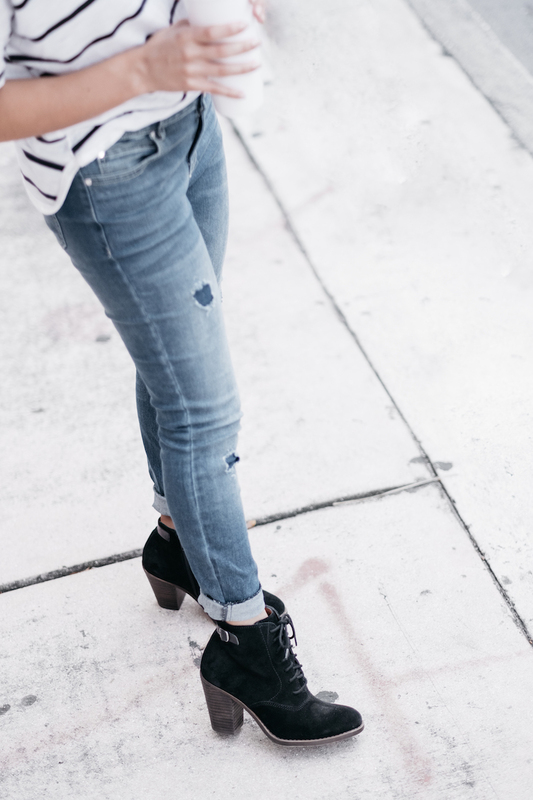 To finish the look, I added these Lucky Brand Echoh boots...these are a classic lace up style that is a must during the colder days. ¡Te pasas de guapa Dani! Both looks are so pretty! 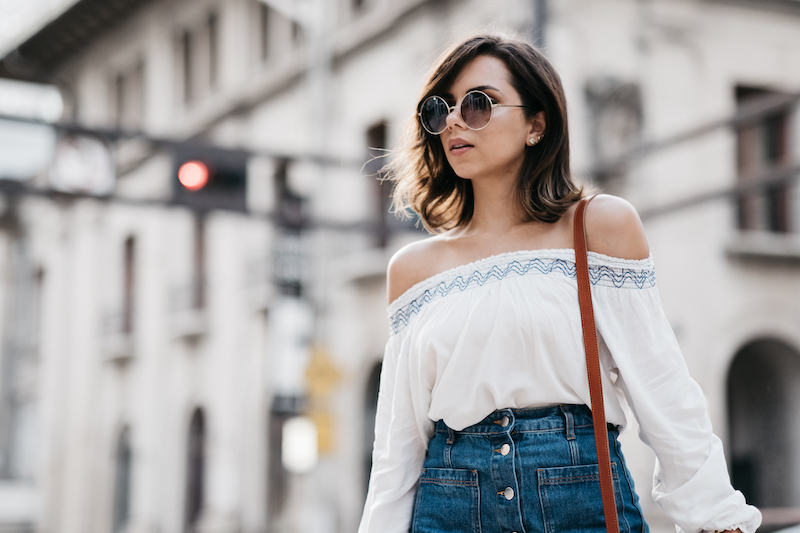 Love the french style and the off-shoulder too!